Nathan was born at 36 weeks after a very high-risk pregnancy. He was diagnosed not only with neonatal lupus, but also failed his newborn hearing screening. No one told his family that he was deaf. 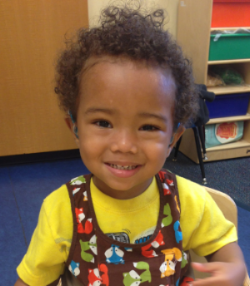 Over the course of the next year, Nathan’s mother, Lakisha Windle, would take Nathan for several more hearing screenings and finally, because of persistence and dedication, Nathan was finally diagnosed with moderate hearing loss. 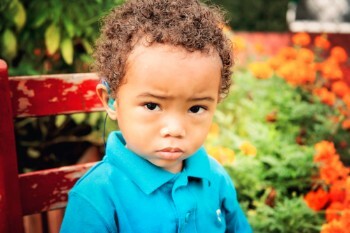 Nathan was fitted with hearing aids at 15 months and began Sound Beginnings at MOSD, a family-training therapy program. Thanks to your support, he is learning to talk. Nathan began the MOSD Preschool in August 2016 and receives oral deaf education in the classroom setting, along with daily individualized speech and listening therapy. Now an advocate for her son, Lakisha shares her family’s story. Ninety-two percent of children with permanent hearing loss are born to two hearing parents. Nathan will continue in the programs at MOSD until it is time for him to mainstream into his local kindergarten at Peabody Elementary. The goal is for Nathan to be independent with no need for a sign language interpreter. Your support is critical NOW and is life-changing for children like Nathan. Brittany Pellegra is profoundly deaf, but she can hear and talk thanks to YOU! Unlike Nathan’s story, hearing loss ran in Brittany’s family, skipping a generation. Brittany and her oldest brother were both born profoundly deaf to hearing parents. Seeing the challenges Brittany’s deaf grandmother had in life, relying on sign language interpreters to communicate, Brittany’s parents chose a different path. They wanted Brittany to be independent and to be able to talk. Brittany did not receive her cochlear implant until she was four years old, missing several years of critical language development. Thanks to YOUR support of the programs at MOSD, she was able to learn language. Brittany mainstreamed into her local kindergarten after graduating from MOSD in the early 90’s and has led a successful and independent life. 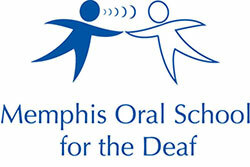 Giving blessings back to other deaf children, Brittany served briefly as a teacher’s assistant at MOSD after graduating from University of Memphis. 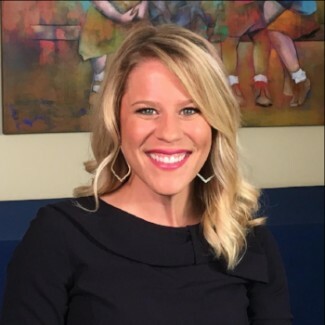 She is currently an active public speaker for Cochlear Americas and travels the world, using her experience to educate others with hearing loss about the benefits of cochlear implants. She loves to swim, play sports, travel, and is active in her church community. YOUR financial gift makes a lifelong impact. 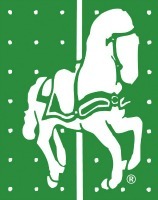 Thank you for giving the gift of limitless possibilities.